At ThriftBooks, our motto is: Read More, Spend Less. Rather than following political events, the emphasis is on developments on the social and economic fronts, to show the reader a broad outline of the way in which the ancient world transformed itself into the medieval and thence to the modern. Originally published on my blog in November 1999. Divided between the Mediterranean world and northern Europe, the six chapters in this book demonstrate the movement of the center of gravity in European life from the Mediterranean to the north. Dust jacket quality is not guaranteed. The chapters show the movement of the centre of gravity in European life from the Mediterranean to the north; and the authors explore the contrast between Byzantine and Renaissance cultures in the south and the new, complex political and social structures of north-west Europe, which by 1300 had the most advanced civilization the world had ever seen. I suspect that this is a consequence of the paucity of information on the period, along with the ntent of the respective authors to fill in the blanks. All major trends and events are profiled but not all are covered in d A robust exploration into the history of Western and Central Europe from 400-1500. As with the preceding chapter much of this section dealt with the invasions of various peoples, largely Germanic James preferred the term migrations. It can bore the reader if approached casually. I'm not going to spend much time reviewing these books. But this is a great book, it covers most of the important happenings, it goes into descriptions of customs and dress, it is endlessly fascinating for anyone looking for history books covering the Medieval period of European history aka the Middle Ages, or the now never used Dark Ages--which isn't an accurate description of the period, although it was an accurate description of the modern mind that wanted to look down on people it did not know, and couldn't be bothered to try to understand in the context of history. They are all brought together skillfully by the editor as the chapters flow seamlessly and lack that awkwardness that so many books that consist of the thoughts of various authors are plagued by. 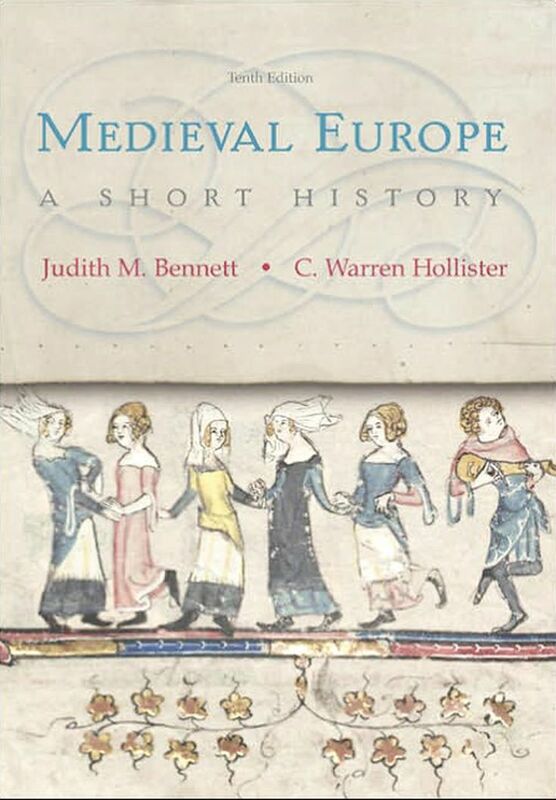 The chapters show the movement of the centre of gravity in European life from the Mediterranean to the north; and the authors explore the contrast between Byzantine and Renaissance cultures in the south and the new, complex political and social structures of north-west Europe, which by 1300 had the most advanced civilization the world had ever seen. This book is quite interesting if you're at all into Medieval History. 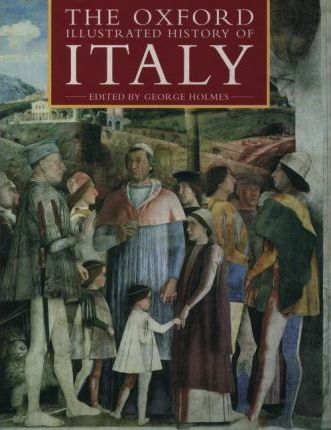 English language medieval histories tend to concentrate on England and France; this one has more about Italy and Germany, making a refreshing change. But it's a good primer to begin with. This popular history, well-written by professional historians, is for the intelligent general reader. Given that there were 6 contributing authors to this work gives credence to the idea that no one individual is up to the task themselves. The common folks of classic civilization lived lives just like the lives of those of the Dark Ages. See, for example, Morris Bishop's The Middle Ages for a history with a consistently higher level of writing. I'm not sure how Oxford thought this was a good idea. Many of the musical instruments familiar to mediaval men were also of Moorish origin. The writing may be a bit uninspired, but there's a lot of interesting information packed into this book. 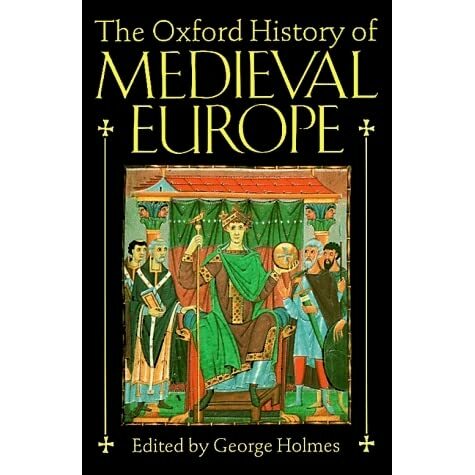 Nevertheless, the reader is given an understanding the developments of history over this 1100 year period, to learn of the importance of that period, and to appreciate how the medieval experience and its major events and challenges have shaped the modern world and its belief systems. . I got this book for a general overview. Covering a thousand years of history, this volume tells the story of the creation of Western civilization in Europe and the Mediterranean. Chapter two dealt with northern Europe in the Dark Ages 400 to 900 and was written by Edward James. See, for example, Morris Bishop's The Middle Ages for a history with a consistently higher level of writing. Most of the histories I've read dealing with the period covered by this book, 500-1500, have dealt either with details or with intellectual currents. Medieval Europe + Mediterranean + Dark Ages + Charlemagne + Byzantines + Black Death. Dust jacket quality is not guaranteed. Full coverage is given to all aspects of life in a thousand-year period which saw the creation of western civilization: from the empires and kingdoms of Charlemagne, the Byzantines, and the Hundred Years War, to the ideals of the crusades, the building of great cathedrals and the social catastrophe of the Black Death; the cultural worlds of chivalric knights, popular festivals, and new art forms. In addition to the text there were a number of plates depicting medieval art and around twenty very helpful maps throughout the book. The consistency and just all around good writing make this easy to read and easy to understand. Photographs may be supplied if requested. 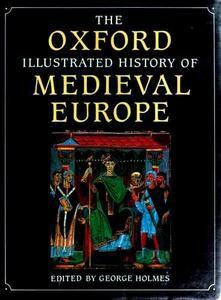 This book, the Oxford Illustrated History of Medieval Europe is perhaps a more traditional venture, in the sense that it is almost entirely preoccupied not only with politics, demography, and commerce, but that from the exclusive perspective of the nobility, despite an abundance of clerical and mercantile records. This one was ever so slightly dated, but otherwise dense of information. Quarter bound in publisher's dark blue cloth over blue boards, gilt lettering on spine, illustrated endpapers. As far as this period of history goes, Norman Cantor is my favorite. A fantastic chapter, Morris covered the decline of the Abbasid caliphate in Baghdad, the rise of independent Muslim states, the subsequent reunification of Islam in the twelfth century as a direct result of Christian involvement in the Middle East, and the polarization of Muslim and Christian religious attitudes away from earlier more tolerant ones particularly in Spain. I usually find that the micro is what informs the macro, but these Oxford texts are all macro. The Transformation of the Roman Mediterranean, 400-900. Also of great importance was the growing power and independence of the pope thanks in large part due to the Franks, beginning with Charlemagne , vital in creating a distinctive Western Europe, different politically, ecclesiastically, and culturally from Byzantium other factors in fostering a distinct Western identity were the collapse of land trade routes and the growing linguistic cleavage. 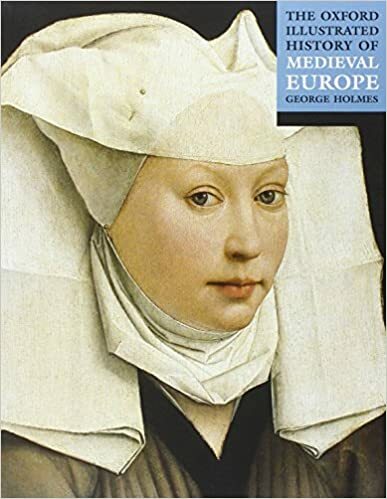 This richly illustrated book is the most authoritative account of life in medieval Europe between the fall of the Roman Empire and the coming of the Renaissance. 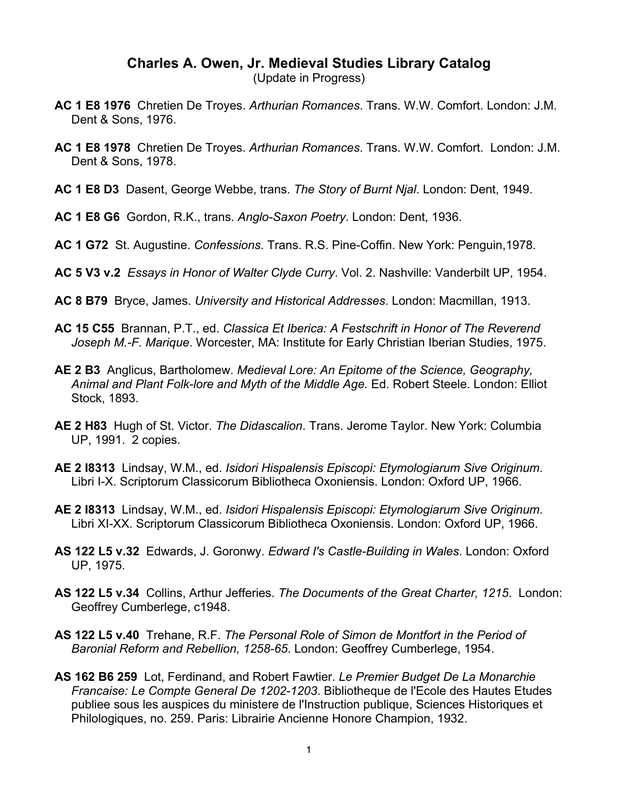 High-level survey by multiple authors of Middle Ages from the Dark Ages to the Renaissance. Sm tears at spine top, 1 3 cm. Chapter six dealt with civilization in northern Europe from 1200 to 1500 and was by Malcolm Vale. Series Title: Responsibility: edited by Georg Holmes ; contributors Thomas Brown. Pages can include limited notes and highlighting, and the copy can include previous owner inscriptions. Capturing the chivalry, faith, and curiosity of the period, the book also examines developments in trade, science, warfare and the arts. Included are some very interesting pictures of manuscripts, locations, and artifacts of the different eras. Full coverage is given to all aspects of life in a thousand-year period which saw the creation of western civilization: from the empires and kingdoms of Charlemagne, the Byzantines, and the Hundred Years War, to the ideals of the crusades, the building of great cathedrals and the social catastrophe of the Black Death; the cultural worlds of chivalric knights, popular festivals, and new art forms. As with the preceding chapter much of this section dealt with the invasions of various peoples, largely Germanic James preferred the term migrations. I found the comparison between Christian settlers and their society and their treatment of non-Christian subjects in Spain and in Outremer - the Christian conquered areas of the Holy Land - quite fascinating. The Transformation of the Roman Mediterranean, 400-900, Thomas Brown 2.